Any Merchant or Service Provider that stores, transmits, or processes cardholder data, including credit, debit, or other payment cards, must adhere to the Payment Card Industry Data Security Standard (PCI DSS). PCI DSS provides technical and operational requirements that are designed to protect cardholder data. The requirements were designed to decrease credit card fraud by increasing the controls involved with cardholder data. PCI DSS acts as a framework for a Merchant or Service Provider to develop a strong payment card data security process, which includes prevention, detection, and reaction to security circumstances. Meet your senior level PCI audit expert and determine your scope. 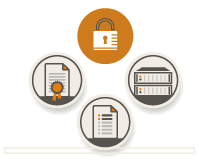 Demonstrate PCI compliance with your final report. Organized under six functional areas known as “Control Objectives,” for PCI DSS Compliance. The 12 PCI Requirements were designed to decrease credit card fraud by increasing the controls involved with cardholder data. PCI DSS acts as a framework for a Merchant or Service Provider to develop a strong payment card data security process, which includes prevention, detection, and reaction to security circumstances. What is the PCI Audit Process? Our unique Online Audit Manager allows you to remotely connect with our senior level PCI audit experts faster, helping you complete 80% of the PCI audit before stepping foot through your doors for an onsite visit. You can collaborate on your own schedule, get readiness and remediation guidance early in the process, and eliminate intrusive and expensive onsite time. KirkpatrickPrice Specialists are Qualified Security Assessors (QSAs) that are trained by the PCI Security Standards Council to conduct a PCI audit and prepare a Report on Compliance (ROC). A large portion of PCI Compliance requires that documentation of policies, procedures, and work standards be maintained and reviewed by a QSA. Our Specialists can also assist you with Self-Assessment Questionnaires (SAQ) or perform a GAP Analysis.